All finished artwork for advertisements to be supplied as a high resolution PDF or JPEG at (300dpi) CMYK formatted. Don’t have advertisement artwork ready? 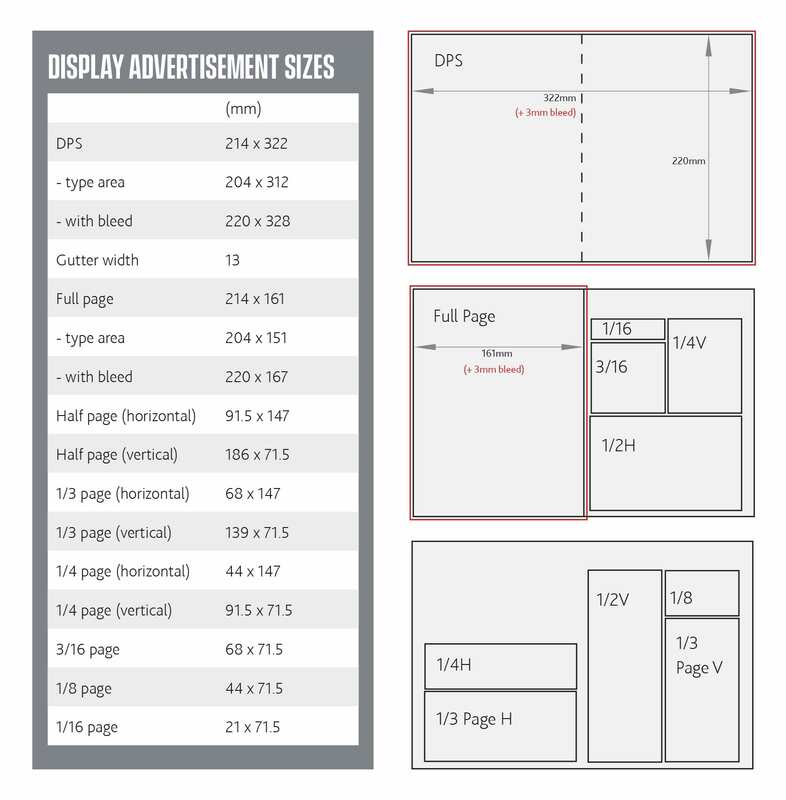 We know that not all businesses have the time or resources to produce their own advertising material. Let us help you get your advertisement looking the way you want with our FREE and PROFESSIONAL DESIGN SERVICE available to all customers. Speak to a member of the sales team for more details.